We have full time, part time + PRN opportunities available! We want what works for YOUR life. This postion requires rotating shifts. We're an Army hospital located in Fort Riley, Kansas. An active duty Army instillation in Manhattan, Kansas - home to Kansas State University! We serve a population of nearly 50,000 active duty Soldiers, family members and retirees in the community. 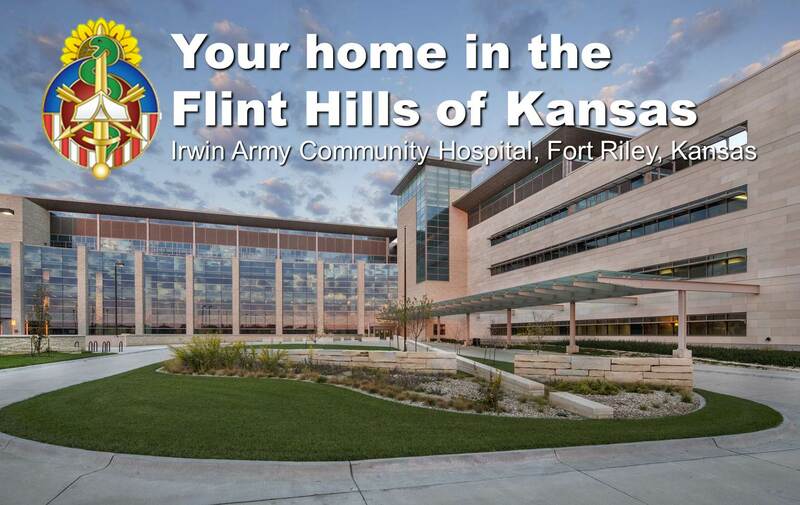 Irwin Army Community Hospital is located in Fort Riley, Kansas which is uniquely located in the rolling Flint Hills region of the Midwest. We are nestled between Junction City (pop.17,000) and Manhattan (pop. 57,000). The local area has an abundance of outdoor activities where you'll find unlimited opportunities to fish, hike, swim, and explore! Enjoy BigXII college sports and entertainment at Kansas State University in Manhattan; as well as a thriving night life and culinary experience. Experience travel simplified at the Manhattan Regional Airport. For international travel, Kansas City International Airport is only two hours away. Irwin Army Community Hospital is a 47-bed hospital. It was designed with the latest medical engineering technology to deliver the best care to our Big Red One Soldiers and mission partners, their families and our retirees. The hospital was smartly built to accommodate an increase in patient capacity or future growth on Fort Riley. As of summer 2016, the hospital serves 49,426 eligible beneficiaries. On a typical day, it sees 1,594 clinical patients, fills 1,805 prescriptions, runs 1,587 laboratory procedures, performs 11 surgical cases, and delivers three babies. The new hospital incorporates Evidence-Based Design which influences modern healthcare facility design to promote patient healing and staff well being. The L-shape design separates the inpatient care from the outpatient care clinics. The staff use their own hallways and elevators outside of the “L.” This frees up space for patients and visitors. The layout provides the shortest reasonable path from check-in to exam. It also eases the transition from one department to another should a patient require additional care. All reception areas in the outpatient side are in the atrium, giving a greater sense of openness. The atrium, or “glass wall,” lets in natural light and provides a passive solar heat in the cooler months while reducing it in hotter seasons. Irwin Army Community Hospital celebrates the 100th anniversary of the 1st Infantry Division with the opening of the new hospital in 2016. WHAT DOES IT MEAN TO BE AN ARMY CIVILIAN? Civilian employees serve a vital role in supporting the Army mission. They provide the skills that are not readily available in the military, but crucial to support military operations. The Army integrates the talents and skills of its military and civilian members to form a Total Army. 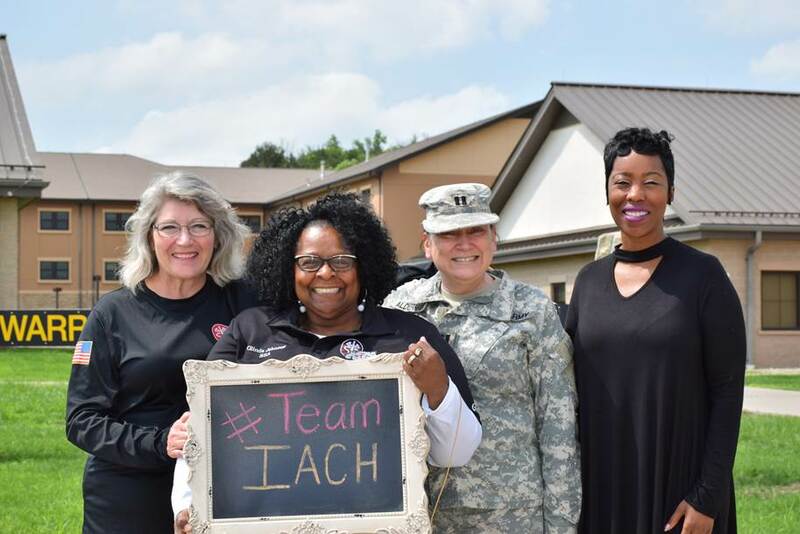 As a civilian employee on #TeamIACH, you are a federal employee. You are not in the Army, you are not deployed, forced moved, and you don't wear a uniform. You'll work alongside our men and women in uniform who also serve as heathcare professionals. Click here to learn more about civilian government service. YOU EITHER TOUCH A PATIENT, OR ENABLE THOSE WHO DO. LEARN MORE ABOUT LIVING IN MANHATTAN. Visit the CVB website here. LEARN MORE ABOUT LIVING IN JUNCTION CITY.